Hi Guys, I use Fz mostly in the synchronised browsing mode (love it) while modifying and developing a wordpress website. 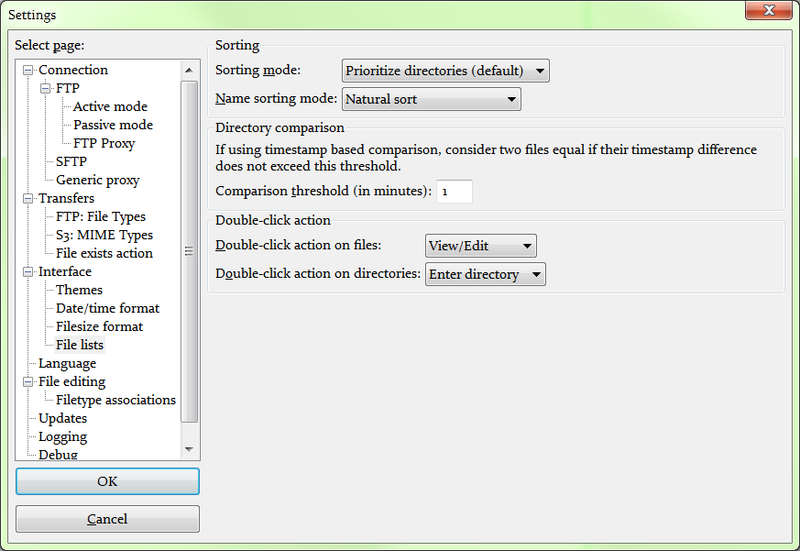 As a Windows user, double click opens that file in the application usually Word or Excel and I can edit it. Similarly, I would prefer Fz to act the same way, thus it would be great to be able to configure Fz such that the mouse double click opens a default program, eg an editor, instead of initiating the up/download. Did you have a look at the settings dialog?